. Greenery. I used parvafolia eucalyptus but any type of greenery would work, preferably with small leaves. 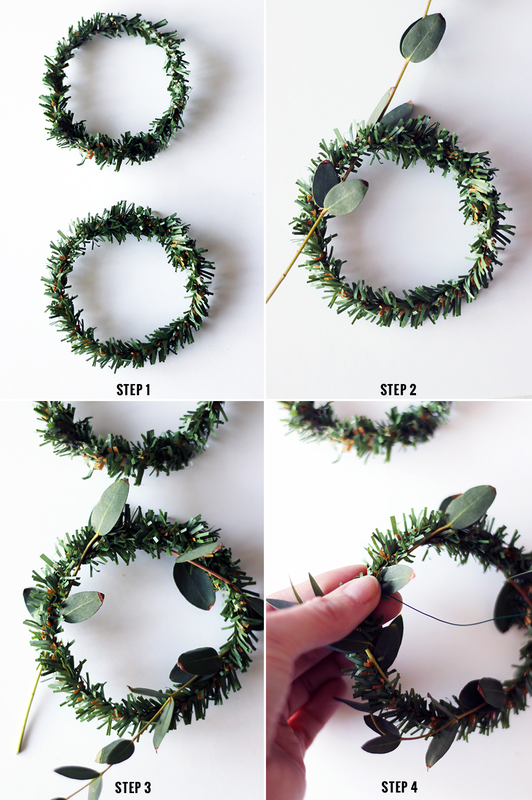 STEP 1: Wrap both ends of the pine stem together to give it a round shape. 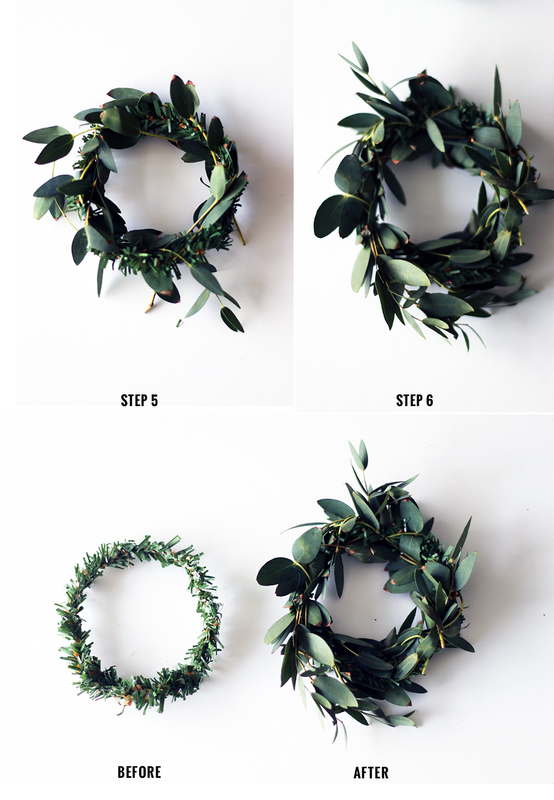 STEP 2 and 3: Grab a sprig of eucalyptus and wrap it around your shaped stem. STEP 4: Secure ends with a small piece of wire. STEP 5 and 6: Continue to wrap eucalyptus around it until it looks full and lush securing with wire whenever needed.